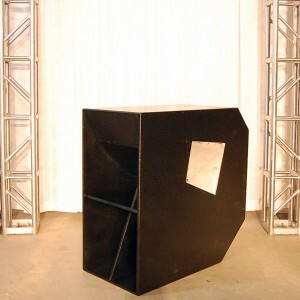 Our Custom High Output LAB Subwoofers pack a huge punch at 2000 watts each! Each cabinet is nearly 4 feet tall and designed to be extremely efficient! 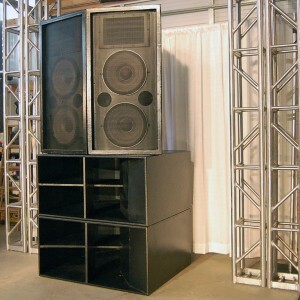 The second picture shows two of our Custom JBL 4733 speakers stacked on top of two subs. Please call for pricing.